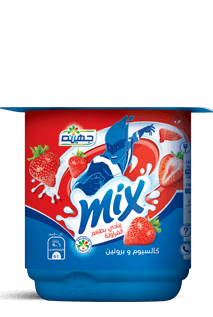 Mix range of flavored spoonable yoghurt comes in Strawberry. Combining the health benefits of plain yoghurt while adding a blend of various tastes, it is a delightfully healthier and guilt-free alternative to junk food. Our spoonable Mix product is available in 75 gm and 105 gm packaging.